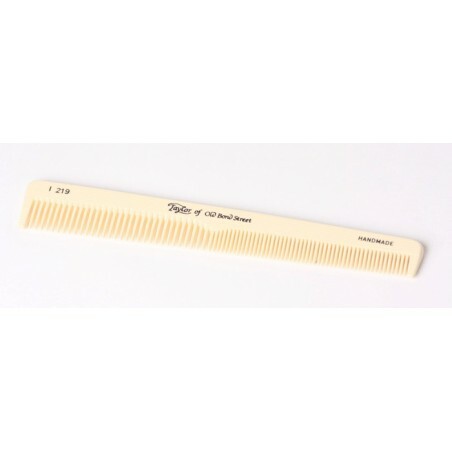 Taylor of Old Bond Street Imitation Ivory Finish Comb. The most important feature of any comb is that it is made of a material which does not strip the hair and this comb does just the job. It is both kind and effective on the hair. Handmade or hand finished combs have sawn, teeth creating the most effective tool for your grooming kit. This comb is versatile and features both fine and coarse toothed sections. It has been made to the highest standards and has a classic design.